The Australian Signals Directorate (ASD) has listed an expanded range of Microsoft Azure and Microsoft Office 365 services on its Certified Cloud Services List (CCSL). 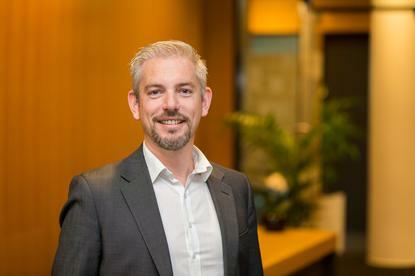 The approval of 34 additional Azure services and 10 Office 365 services will give the company “a major competitive advantage” Microsoft Australia’s national technology officer, James Kavanagh said. The company has been working for “a long time” to achieve the listing which was no easy feat, Kavanagh added. “It’s extremely important, and it’s something we have been working on for a long time, the culmination of a lot of engineering, risk assessment and compliance work from many groups within Microsoft. This is important to us because it empowers our partners to offer a plethora of additional services to their customers throughout all levels of government,” he said. The CCSL was launched in 2015, to help make it easier for government agencies and departments to transition to the cloud. Most services are certified for use with so-called Unclassified – Dissemination Limiting Markers (DLM) information, that is, data that is not classified but may be sensitive and is not intended for public release, although some providers offer higher level protections. To have services listed, providers must prove their products meet close to a thousand distinct security controls laid out in the ASD’s Information Security Manual, before the claims are verified by independent IRAP assessors and multiple ASD reviews. Six Microsoft's Azure services were included on the initial CCSL. The extended approved services now include the likes of Azure Log Analytics, ExpressRoute, Azure Machine Learning, Azure Internet-of-Things Hub and Azure Application Services, covering “all of the core services appropriate for infrastructure and applications in the hyperscale cloud” Microsoft said. The listing of 10 Office 365 services – covering voice communications, cloud PBX, email, information protection and collaboration – made it “the only productivity platform certified to this level by Australian government” Microsoft said. Rival providers on the CCSL include Amazon Web Services (for its EBS, EC2, S3 and Virtual Private Cloud cloud services), IBM's Bluemix and Salesforce's PaaS and SaaS offerings. Others listed include Macquarie Telecom’s GovZone cloud service, and cloud offerings from Sliced Tech and Vault Systems. SAP has also indicated a desire to join the list. A media release from Microsoft said the listing of additional services was a “major milestone in the company’s mission”. “It certainly positions us well in market,” Kavanagh said. “Certainly this is a major competitive advantage for Microsoft when you consider that by comparison AWS have only four services certified, but more importantly for our partners operating in the public sector.